As part of a new partnership with Stonewall, the Premier League will again be contributing to the Rainbow Laces campaign to support LGBT people within sport. The League's central activation starts with West Ham United hosting Leicester City on Friday 24 November and ends with Manchester City's trip to Huddersfield Town on Sunday 26 November. We will introduce this year bespoke rainbow branding to the Premier League ball plinths, pitch flags, and handshake boards, while the timing boards will also take on a rainbow effect. Pitchside LED boards will contain supportive messaging, which will be replicated in matchday programmes. Off the field, a Rainbow Laces-specific logo, as pictured above, will adorn the League's social media channels. As with last year's fixtures, rainbow captain's armbands and laces will be available for players, too. Announced on Friday, the partnership with Britain's leading charity for LGBT equality will see the Premier League join Stonewall's Global Diversity Champions programme, becoming one of 750 organisations that works to improve the lives of the LGBT community in the UK and internationally. The partnership will also see the League working closely with its clubs to address the use of unacceptable language on matchdays and ensuring equality and diversity are key parts of the many programmes they deliver in communities across the country. Training and guidance will be given to player care professionals, while also guaranteeing players can access advice and support whenever they need it. "We all have a role to play in changing attitudes within sport," Premier League Executive Director Bill Bush said. "Last year's activity for the Rainbow Laces weekend helped to raise the profile of LGBT equality in our game, and we look to develop that further this year. 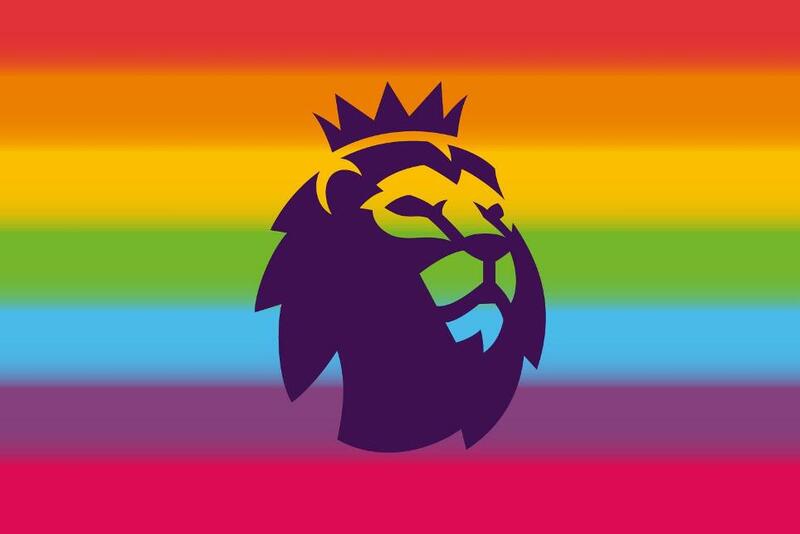 "We have seen an increase in the number of LGBT supporters' groups within the Premier League, as clubs continue to do great work in promoting inclusion and diversity amongst their supporters. "We hope that through our work with Stonewall, we will see a shift in attitudes and public support for LGBT inclusion within our game."